When a vitamin is water-soluble, this means that your body eliminates what it does not use through your urine, and therefore, the excess is not stored. Because your body cannot store vitamin C, it is nearly impossible for you to overdose on it, and it is not likely to harm your liver or other organs. 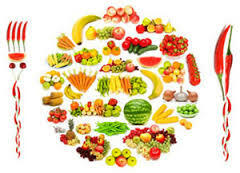 The tolerable upper limit of vitamin C has been set at 2,000 mg per day, notes MedlinePlus, and this is largely because high doses can cause diarrhea or other types of digestive upset. Because vitamin C is water-soluble, this also means that you need to continually supply your body with more to avoid becoming deficient. Many people may have a mild deficiency of this vitamin, and some of the symptoms include a compromised immune system, bleeding gums, nosebleeds, unintentional weight gain, rough skin, swollen joints and dry hair. If you become severely deficient in vitamin C, you may develop a condition known as scurvy, though this is rare in the developed world.